Sold my Heritage 90. One of 5 NZ new vehicles with just 2,000kms. I'll replace it with another 90 (not Final Edition) when prices settle after the "new Defender model" finally arrives. That’s 72.000€ if I have the forex right. Wow, nice price. Gives you some ammo for getting a replacement in due time. And for now you created another happy new owner. £62k I can see why you were tempted to sell. I hope you don't regret it. 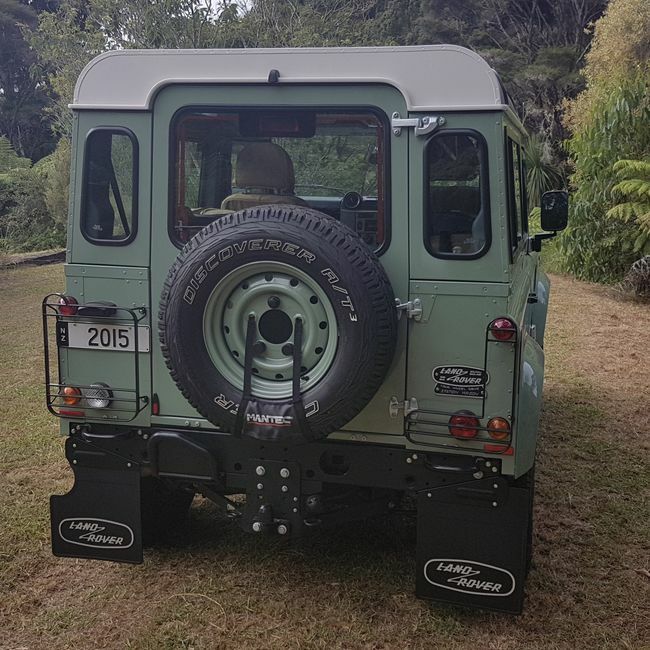 NZ new price was $86,000 with aircon, carpets, ICE, towbar etc included in the standard spec. Something in Keswick green would be nice. Celebrating 50 years of Land Rover ownership and wish I still had my previous S1 80" vehicles now. A very sad '52 awaits attention - but with a Holden 6 and chassis rot, much work will need to be done. Nice Defender and a good price for you. There are a few Heritage editions for sale in Aus at $100K+, around twice the new price.